Today's Outfit: October Sky PLUS Thomas Sabo Giveaway! More fall foliage! It's hard to believe October has come and gone and November is here already. What's even harder to believe is that for the second week in a row I managed to get outfit shots that weren't taken in front of my closet mirror thanks to a very patient boyfriend who struggles with my finicky photography demands. I am so lucky he puts up with me. In other news, there's very little likelihood I will end up one of those outfit bloggers with a professional/aspiring photographer as a significant other, who makes it his life's goal to follow me around documenting what I wear. Two objects of my sartorial affection making their blog debut: the Pour La Victoire 'Marne' boots I've mentioned ad nauseum, and this lovely Thomas Sabo sterling silver charm which was gifted to me at the Oakridge store's grand opening. The charm--part of their Asia-inspired fall/winter 2011 collection--is quite versatile and eye-catching. I like wearing it on a silver chain as the sole piece of jewelry in a casual ensemble. Of course, why take my word for it when you can experience the versatility and allure of a Thomas Sabo charm for yourself? 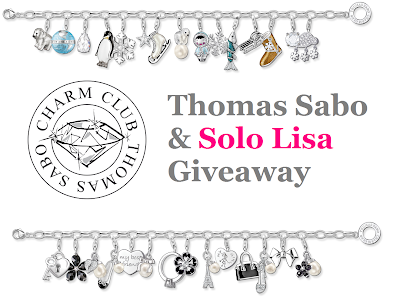 Three lucky Solo Lisa readers will have a chance to win a set of Thomas Sabo sterling silver charms (valued at up to $85 per charm) from their fall/winter 2011 collection. Thomas Sabo has a charm to suit every style, from the Parisian-inspired to the winter-themed (pictured above). Use them as pendants, put them on a charm bracelet or a thin leather cord, clip them on your winter coats' zippers--your imagination's the limit when it comes to how you'll wear your Thomas Sabo charms. 'Like' Thomas Sabo on Facebook. Leave a comment on this post telling me you entered. 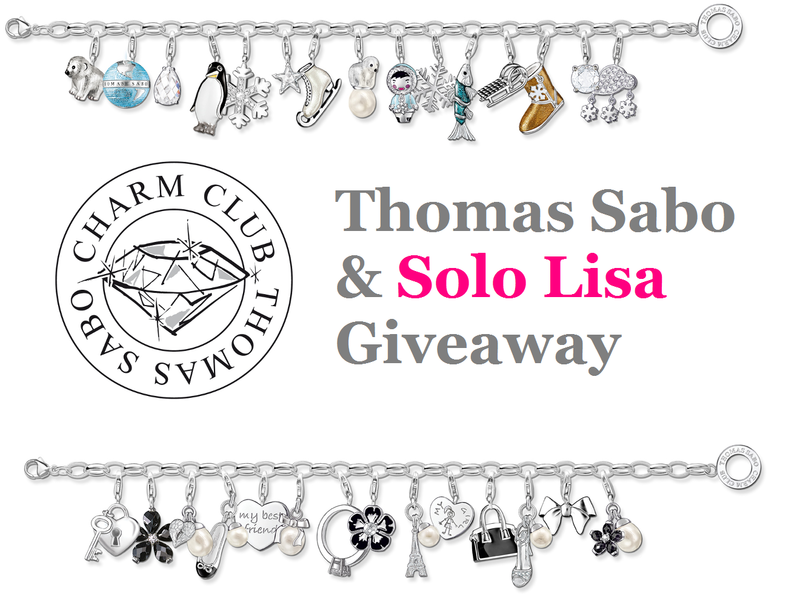 For a second entry, tweet "I just entered the @ThomasSaboCDN x @SoloLisa giveaway to win charms from the F/W 2011 collection! http://tinyurl.com/6b5gogh"
For Vancouver readers who want a third entry, stop by the Thomas Sabo store in Oakridge Centre and tweet a photo of your favourite charm to @ThomasSaboCDN and @SoloLisa. All entries must have a means of contact (blog, email or Twitter). Entries without a means of contact are automatically disqualified. The contest ends Friday November 18th at 12pm PST. One winner will be chosen randomly. Good luck! I entered here & on twitter. I hope I win. I love TS charms!!! Leonie, sorry, I should've clarified. Canadian RESIDENTS qualify. You're free to enter! I've been loving the fall leaves everywhere and it seems everyone's trying to capture some outdoor shots before our usual fall weather returns. Really love the close up shot your bf did! And your boots - LOVE them. I liked t.s in facebook . and i'm canadian . sweet contest . love TS! love your boots lisa! tan boots = mark of the fall season. & please enter me in for the charms! I entered here and will tweet it soon on Twitter. (@kathygko). J'adore your new boots! I LOVE this look Lisa! Such a perfect fall ensemble, you look beautiful and beyond adorable! I liked Thomas Sabo on Facebook, fingers crossed! Such a great giveaway, Lisa! Thanks so much for informing me of it. I've liked Thomas Sabo on Facebook (don't know why I hadn't already?!). Also, those Pour La Victoire boots are absolutely beautiful in action. Very envious that you got them at such a great price. And also good job to the boyfriend for the photos! i love the boots!! and the all the fall colors are sooo pretty... we don't really get that here in Cali so i'm jealous! Personally, I think the color in the shirt is the highlight of this outfit! Stunning, Lisa! Please enter me for the charm give away as wel <3 thank you! Lovely outfit! Loved your boots! PS: i'm following you style at bloglovin and twitter! Fantastic fantastic boots!! They look great on you! 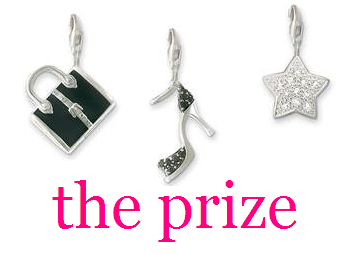 I'm not on Facebook, so I can't "Like" Thomas Sabo - maybe I'll tweet or take a pic for an entry? Sorry Elisse, the Facebook "Like" is a requirement. can't wait. :) oakridge here i come. I liked the Facebook page and posted the tweet! Love your whole look! Just stunning . . .
My twin sister and I have our 25th birthday this month, and would love to win this prize, there's enough charms for us both...and 1 lucky charm left over if I win! What a great giveaway! The charms are beautiful! I liked them on facebook! I can't wait to check out the new store!